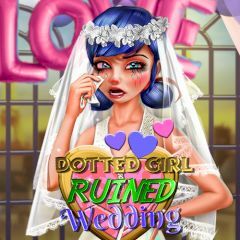 Dotted Girl watches her ruined wedding and cries. Can you fix this? Try to clean the place, make a cake and dress up!